Is that winter weather bringing you down? 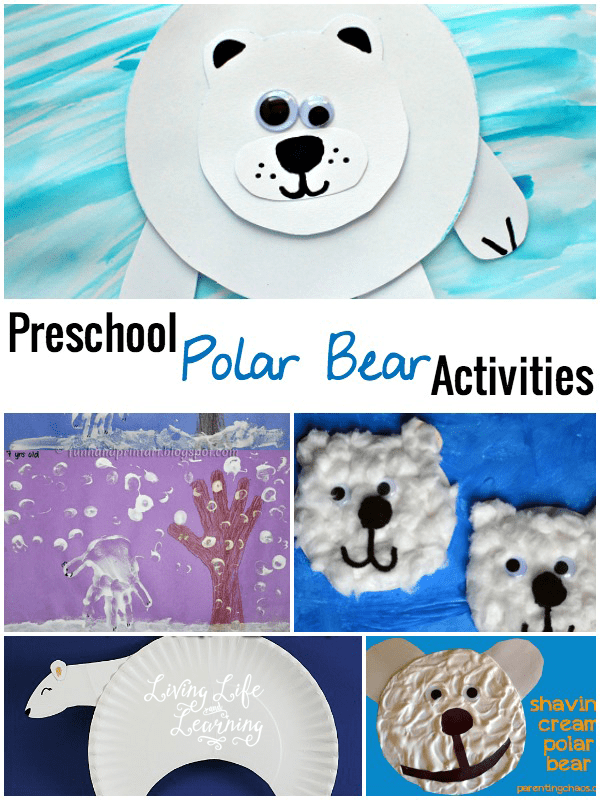 How about having fun with some preschool polar bear activities? These polar bear crafts will keep you warm indoors while you take these cool ideas and turn them into wonderful memories with your kids. 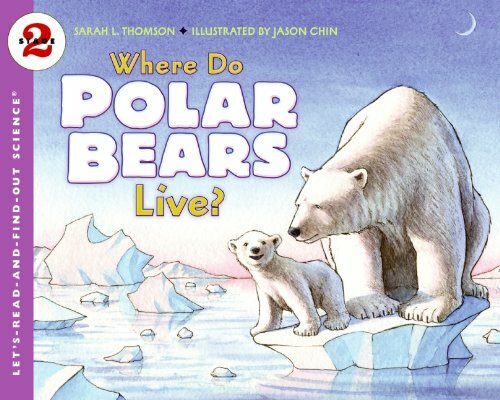 My animal lovers enjoy creating anything that has to do with animals and there are wonderful books and movies to go along with any of these polar bear activities. 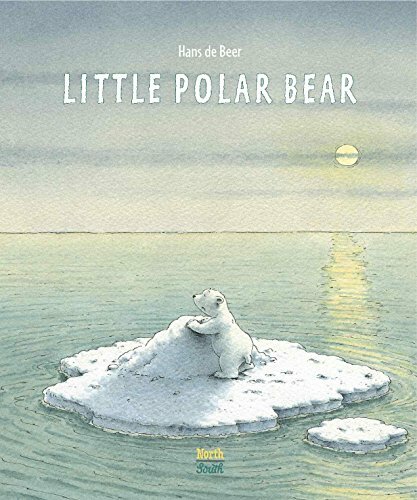 These preschool polar bear activities will keep your little one warm and happy inside with the cool temperatures outside. With a small paper plate and some cotton balls, young kids will love this glue and paste activity! 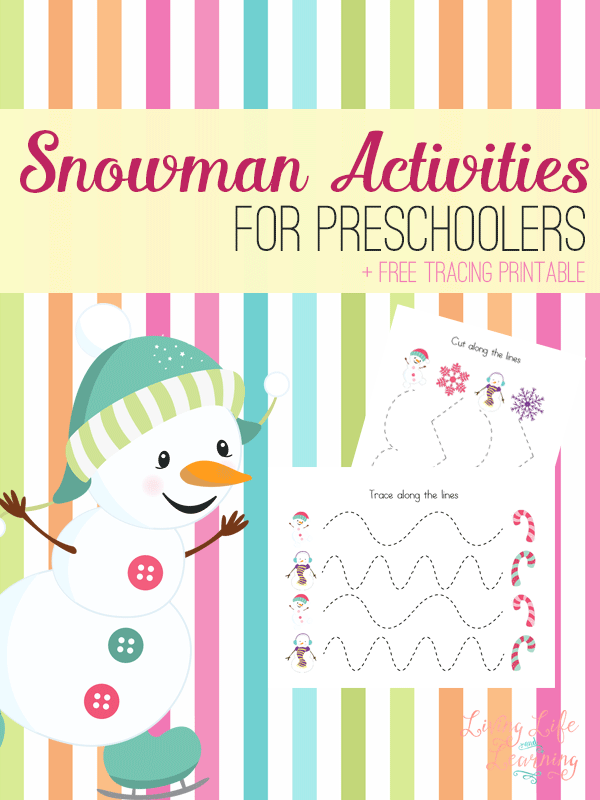 This is mostly ideal for toddlers and preschoolers, as it doesn’t involve any cutting or scissors. Mix white glue with shaving cream for a carefree winter look, perfect for a polar bear. 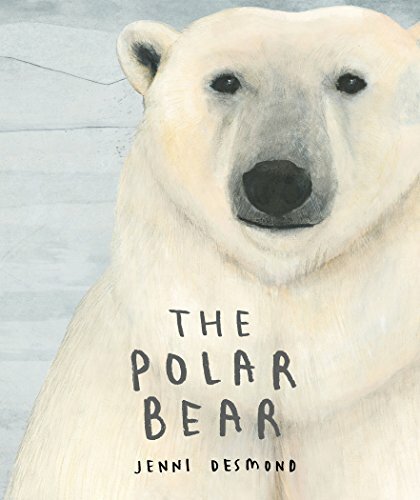 In addition, create a polar bear from your child’s handprint. Practice shapes (circles) to create this easy construction paper polar bear! Get messy and create a puffy polar about out of shaving cream! I love watercolor artwork, and this polar bear on ice craft requires no “crafty” skills whatsoever and has an adorable finish. All you need is paints, glue, construction paper and a pair of googly eyes. This is a cup-tastic activity for kids. All you need is a styrofoam cup, glue, black and white construction paper, wiggly eyes, a black marker, a cotton ball, and a pair of scissors, and presto! You have your own little polar bear puppet! Getting down and crafty doesn’t get easier than this activity! All you need is a paper plate and a black marker. You’ll also need scissors to cut out the shape of the head and nose and glue or tape to tape the pieces together. Once you’ve done that and added eyes and a mouth, you’ve got a polar bear! 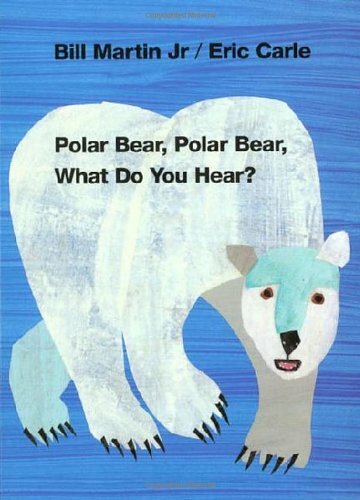 Cut white pieces of paper into bear paw shapes and write little facts about polar bears on them. You can use some card stock to make them more durable. Let them act as stepping stones for your young ones and have fun learning! Everyone loves milkshakes, right? Add some milk and a couple drops of honey to your ice cream and voila! You have a perfect milkshake. Use an empty honey bottle in the shape of a bear to make that even more polar effect. Who doesn’t love an edible polar bear? Grab some ice cream, little chocolate candies, and some clear gum drops for this adorable polar bear. Combine math with social studies with this math game. All it requires is black and white felt and scissors. The white will act as icebergs and the black for the number of them. 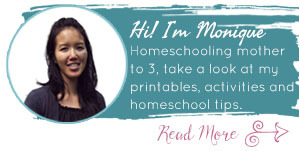 Your children can act as polar bears and must leap to each iceberg in the correct numerical order. But there are so many other ways to use this as well. You can teach your child to subtract, add, or even count by two’s. If you and your kids have a white chocolate tooth then you’ll love these delicious and adorable treats! All you need is popsicle sticks, Reese’s cups (white chocolate), black jelly beans, optional red bowtie sprinkles, and, of course, a square of Candiquik. The end will result in tasty polar bear snacks on a stick. Everyone loves finger puppets, but some don’t like how long they take to sew. Say good-bye to that; all you need to do is cut and glue for this project. Another great thing is how you can most all the supplies at your local dollar stores, or at least at cheap prices. Fun doesn’t always have to be expensive! 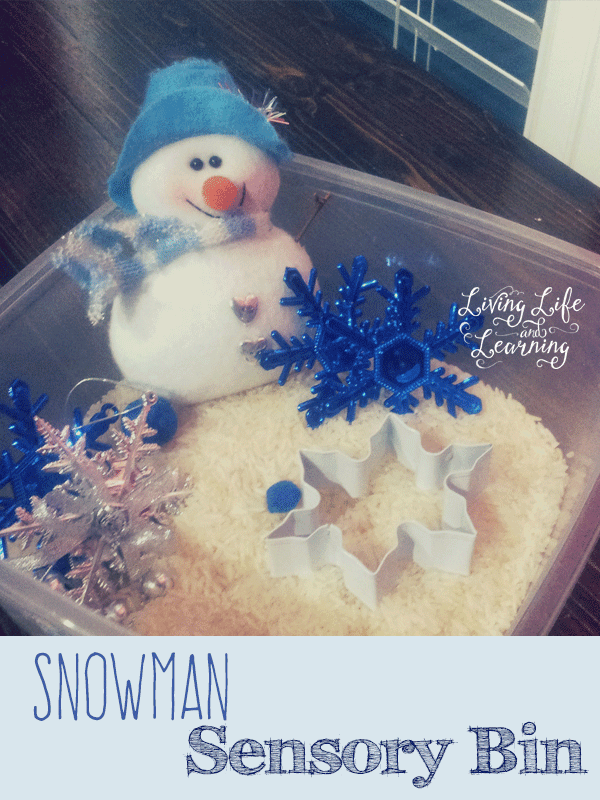 This is a great activity for kids, especially boys who just love to get their hands dirty. Arctic Slime is easy and fun to make. You and your kids can make the most scenic winter wonderlands with this great slime recipe, not to mention learning about science! Here’s a bear-y fun activity to do with your little ones when the temperature drops! All you need is an empty Kleenex box, tissues, and of course, the Crayola Model Magic.